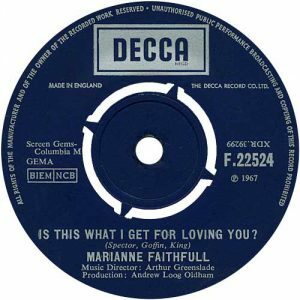 The label of U.K. 7" of 'Is This What I Get For Loving You?' which was backed by 'Tomorrow's Calling'. 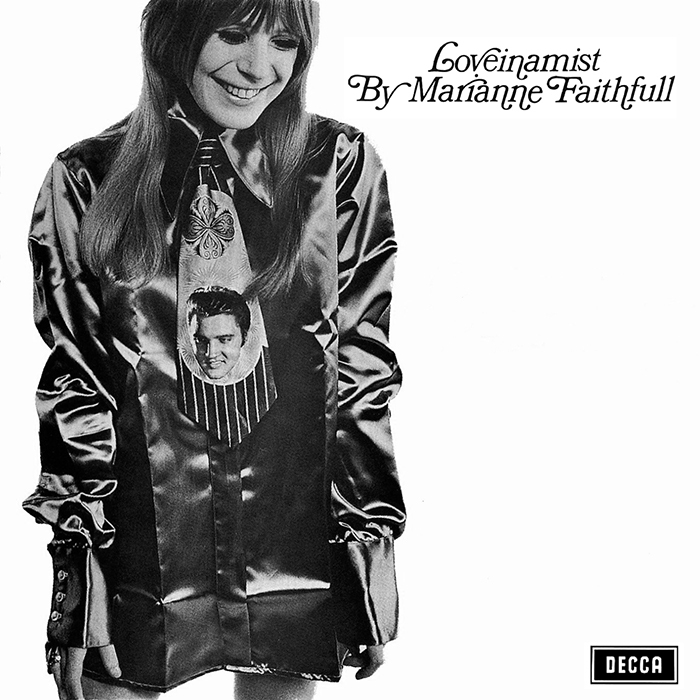 Many of the tracks on Loveinamist had been released months earlier on the US-only Faithfull Forever... L.P. (which also featured tracks from Marianne's previous U.K. album release North Country Maid). Loveinamist was recorded over a broad period of time beginning with In The Night Time in February 1966 and ending with Is This What I Get For Loving You? in November 1966. 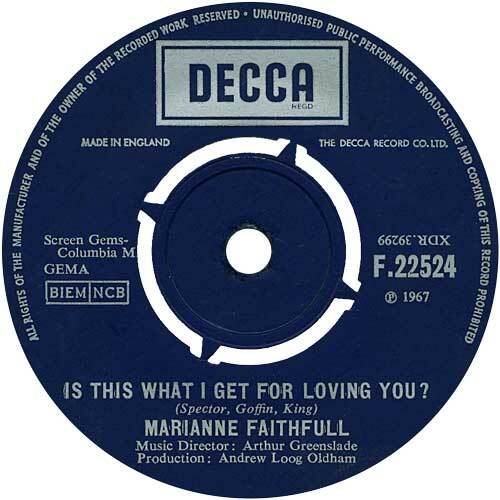 The L.P. was issued with various tracklistings in different territories, with some editions tacking on Marianne's singles of Yesterday, Counting and This Little Bird as well as Coquillages her french language recording of Cockelshells, whilst omitting Et Maintenant and Tomorrow’s Calling. The 1988 CD re-issue included the previously unreleased Hang On To A Dream, Rosie, Rosie and Monday, Monday.